Facebook Groups have become a great tool for promoting your business on social media. Yep! They aren’t just for sharing recipes or being a part of a fan club. With more than a billion Facebook users engaging in groups each month, you should learn how to use Facebook Groups for business. When done correctly, they can play an important part in growing your business. 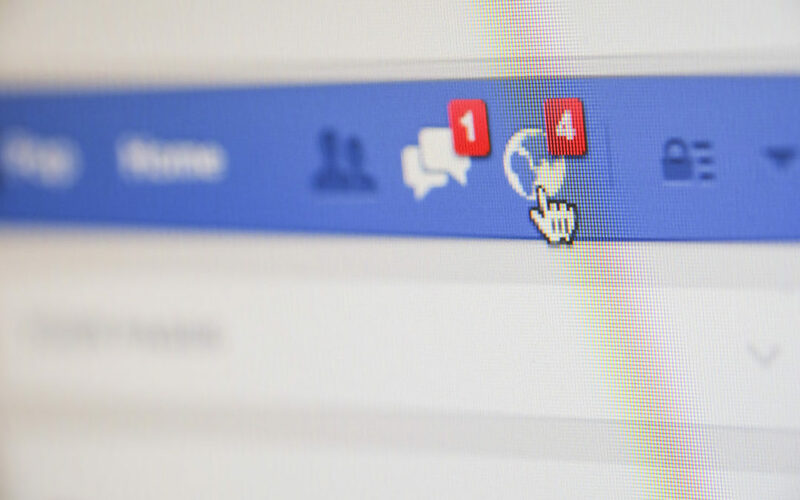 Now, a Facebook Group should not replace your Facebook Page. Why? Your Facebook Page is your public face. It’s where you do the most self promotion. Things you share on your Facebook Page will show up in public newsfeeds. A Facebook Group is meant to be a more intimate setting for your best customers, your clients, paid program members, etc. Information you share in your group will only show up in your group members’ feeds, even if it has a public privacy setting. Closed and secret groups will keep all of the information shared in it under wraps. Have a loyal customer following or clients? Use your group as a means for them to contact you if they have questions or need help. You can also use it to offer advice and get your members to share any advice they may have. This creates a strong sense of community, which is the backbone of any successful Facebook Group. Do you own a service-based business? You can set up and funnel all of your potential clients into a Facebook Group. Try promoting it in your email list or even on your public Facebook Page. Because a group is a more intimate, connected setting, you have a better relationship with your members. And a better relationship and a sense of trust can often lead to new clients and thus more revenue. 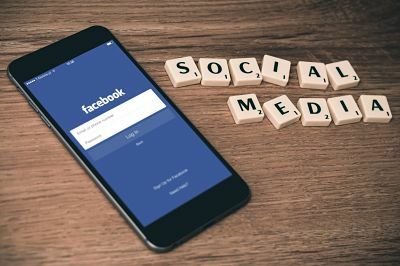 With a lot of your customers already active on Facebook, promoting an online event is a great way to generate activity and interest in your business. You should make it a time-limited event and offer content or other incentive (like a contest) to generate excitement. Just remember a Facebook Group is not about you, but about the people in it. Too much blatant self promotion can backfire on you. Concentrate more on providing value by sharing content and advice your group members find useful for a more natural approach to self promotion. So now that you know how to use Facebook Groups for business, contact the Smart to Finish team to get one set up in no time flat. The sooner you have one, the sooner you can get to growing your business! 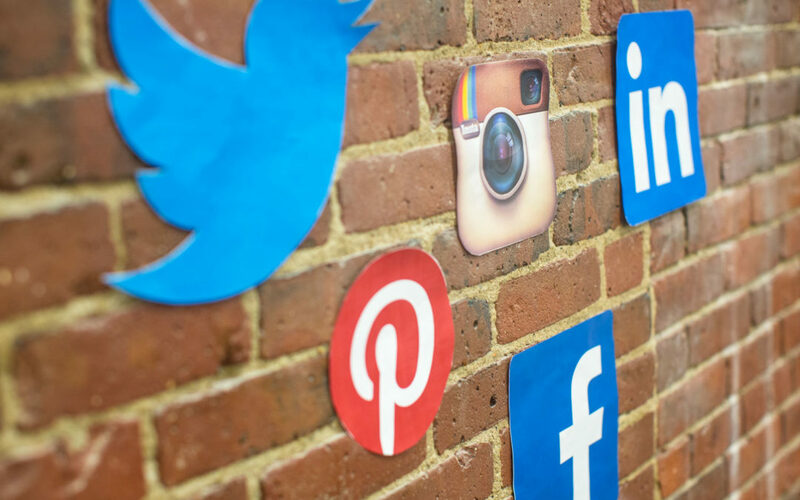 What do you want to accomplish with social media marketing? Who are you trying to reach (i.e., your target audience)? You don’t need to be on ALL of the social media networks. It’s best to focus on 2 to 3 networks, depending on what your business offers. For instance, if you own a business that is visually oriented (e.g., e-commerce, travel agency, etc.) you should probably focus your efforts on Pinterest and Instagram. You should do some competitor research and keyword research to come up with ideas for content that will interest your target audience. Create a social media calendar to map your content. A good rule of thumb for sharing content on social media is to share 80% external content and 20% your own. By sharing valuable external content, you are making yourself the go-to source for your audience. Not only will you develop trust with your followers, but you may also get some shares in return. Some ideas for external content include videos, articles from industry leaders, infographics, social media images and memes, etc. Once you have a loyal following and have established trust, start developing high-quality content and posting it more often. People will be more likely to visit your website, read your content, and share it on social media. This a type of content marketing, and it works hand-in-hand with social media marketing. The nice thing about paid advertising on social media is that you can develop a highly targeted ad campaign directed at your target audience. 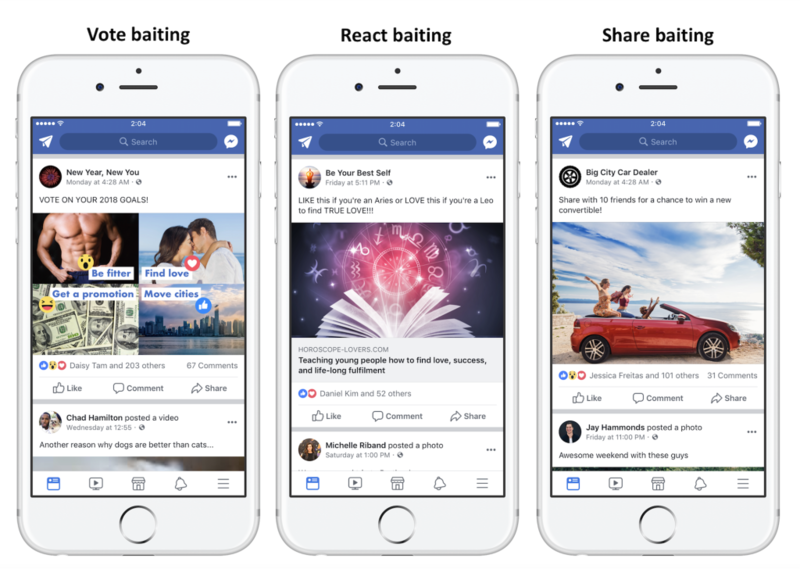 Especially in the case of Facebook Ads, you can research your audience’s likes and interests and create a laser-focused ad campaign at a reasonable cost. So now that you have a few basic social media marketing tips to get started, why not contact us at Smart to Finish? 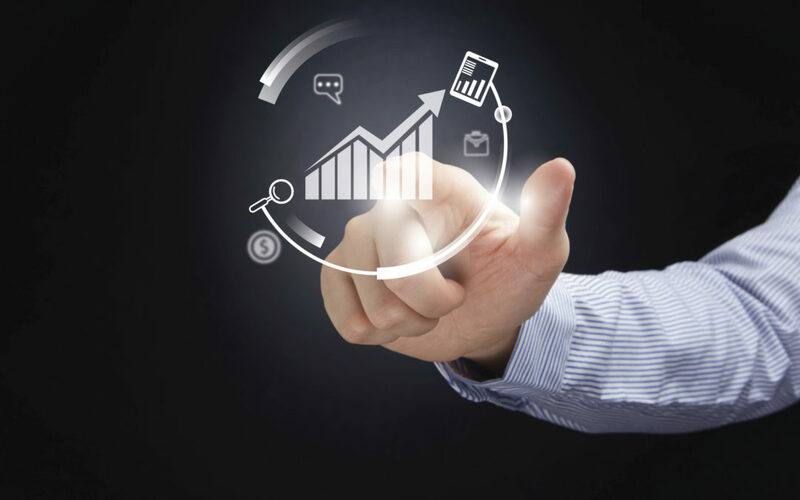 We can help you develop a social marketing strategy to add to your other marketing efforts and increase your bottom line. 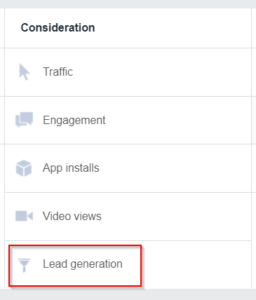 Did you know that you can use Facebook ads to collect leads for your newsletter? And that you don’t need a landing page to do it? Yep. It’s called a Lead Ad, and it can help you grow your email list big time. 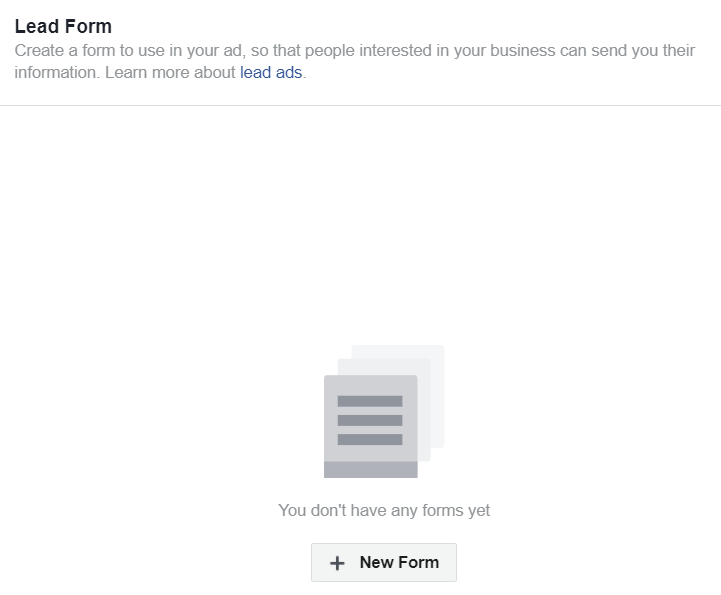 When you set up a Lead Ad, and one of your targeted audience members clicks on the ad, a form opens up with their Facebook information already entered. There’s no need for them to type in their name, email address, etc. But, their privacy is still protected, so no need to worry that you’re violating the CAN-SPAM rules. 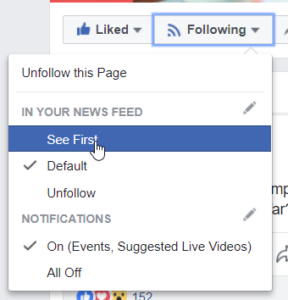 The first step is go into your Facebook Ads Manager and click the “Create Ad” button at the top right. Then, choose your objective “Lead Generation” then give your campaign a name. After that, you set up your ads like any other type of Facebook ad. You select your Facebook business page, your audience, your budget, and your schedule. Then you choose how you want your ad to look (e.g., single image, carousel, or even a video) and add the ad copy. Now comes the part that’s different about a Facebook Lead Ad! At the bottom of the page, you will see a section called “Lead Form.” All you do is click on the button “+ New Form” to make a new one. Your image should have as little text as possible in it, just like with other Facebook ad images. The more text you have, the less likely people are to see it, and the more expensive your ad becomes. 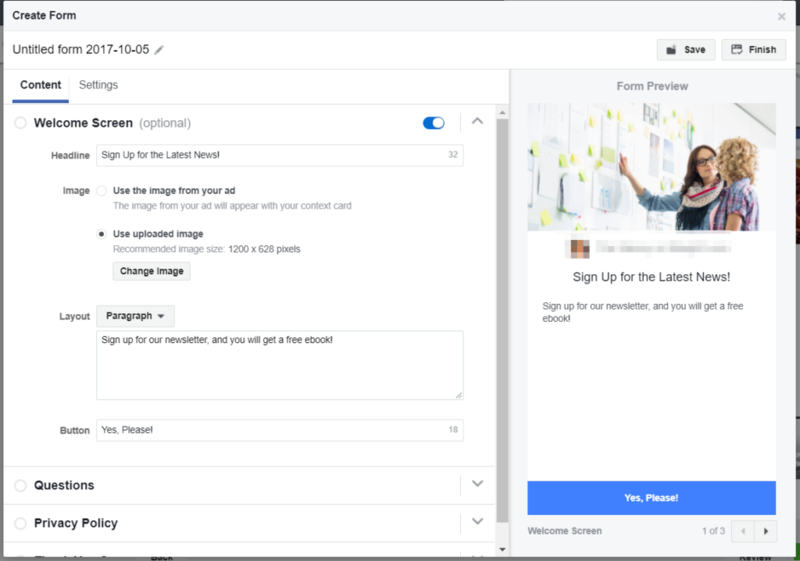 Once everything is set to your specifications, all you have to do is save your form and confirm it to send it to the Facebook Ad team for approval. And then you should start seeing leads start to come in! But how do you get the leads from your ads? There are several CRM integrations you can use to collect your leads, or you can download them to a spreadsheet if you do not have a CRM yet. 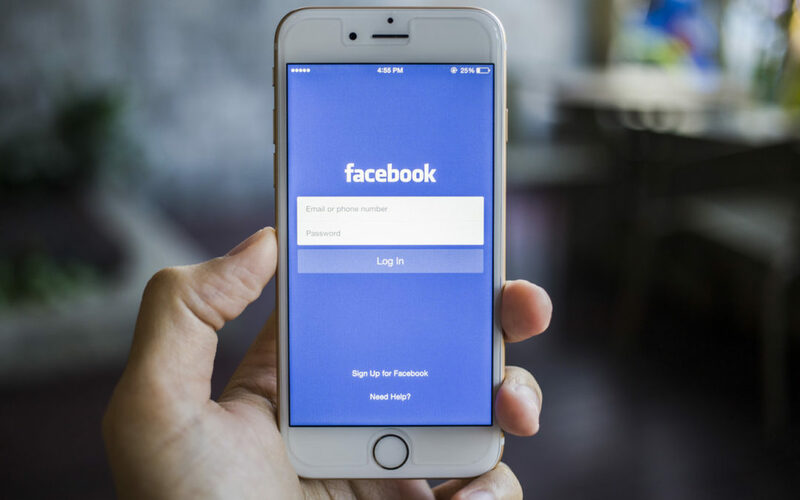 If you need help with creating a Facebook Lead Ad to grow your email list, you can contact us here at Smart to Finish to get you set up and ready to go!